The 80's have taken up residence on my nails this week. I have no words for how happy this manicure makes me. Personally, I feel like I haven't rocked a manicure this gnarly in a long time. It's SO mondo. I was totally inspired by Punky Polish's phenomenal Watercolor Sugar Skulls manicure. If you haven't already, you NEED to see it. When I read that she made her own sheer tint polishes for this, I couldn't even contain my excitement. I ran over to my stash and started yanking out jellies and a practically unused 2.5oz bottle of Beauty Secrets Hardener High Gloss Top Coat. I poured some of it into five empty bottles that I had stashed in the back of the cabinet and then sent in a few drops of pink, royal blue, purple, green and yellow jelly-ish polishes. It felt great to make that bottle of topcoat useful, since I never really liked it for topcoat. I read somewhere that it does well as base coat, so I'll try that with the half bottle I have left. I began with two coats of white creme. I dabbed on the pink and purple corners first, then the blue and green corners and finished with yellow int he center. The colours hadn't dried quite yet so they pooled together in acid-swirls and "moved" each other around just like watercolour! SO HAPPY! This is a snippet of my scrap paper. I use white printer paper and paint on a bunch of colours and then stamp over with a bunch of different colours to see what I get. Sometimes I will cover entire sheets with this. I have even gone so far as to label a few. Lower right: I was trying to decide if I wanted to use the ampersands (BM-311) or the splatter (BM-416). The competition was tight. 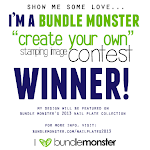 They are two of my favorite Bundle Monster images. 2 coats Pure Ice Superstar! Just for the record? I still REALLY REALLY want to get my hands on the OPI Sheer Tints, because I think I will get an insane amount use out of them. Check out Phoenix Beauty Lounge for some amazing ways you can use them! Love this! The stamp pulls it all together perfectly! I totally missed the Punky Polish post but I JUST posted about duping the sheer tints. Great minds! Thanks Becca! :D Your Franken Sheers are awesome! I actually like your tints more than the OPI ones - which I have. Love the finished mani! 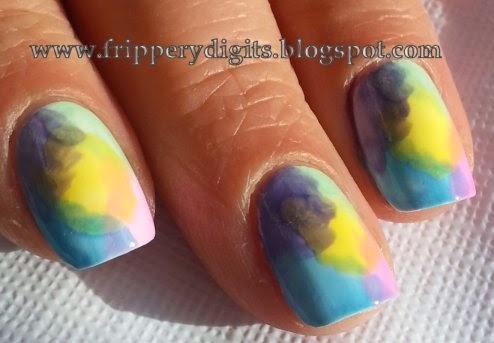 I have seen that sugar skill mani and it's fantastic, but so is this! 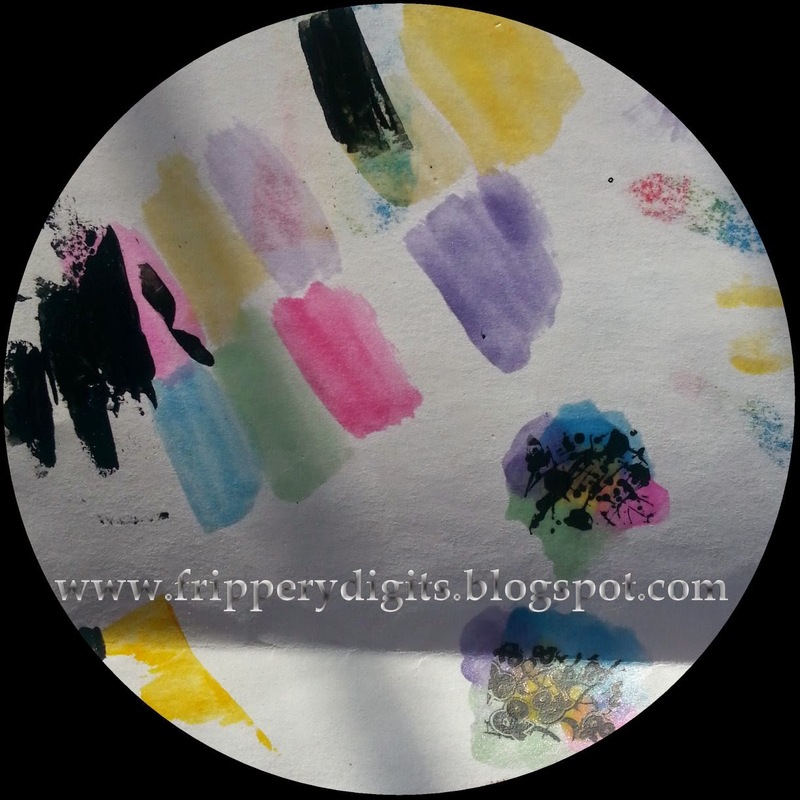 The colors and the splatter are just awesome ~ I also do a lot of testing on paper. I don't want to waste my time if it looks stinky on my nails! Thank you Freshie! I love paper testing! I actually want to get some nail wheels too and try those out. Never used them before. Wow!!! 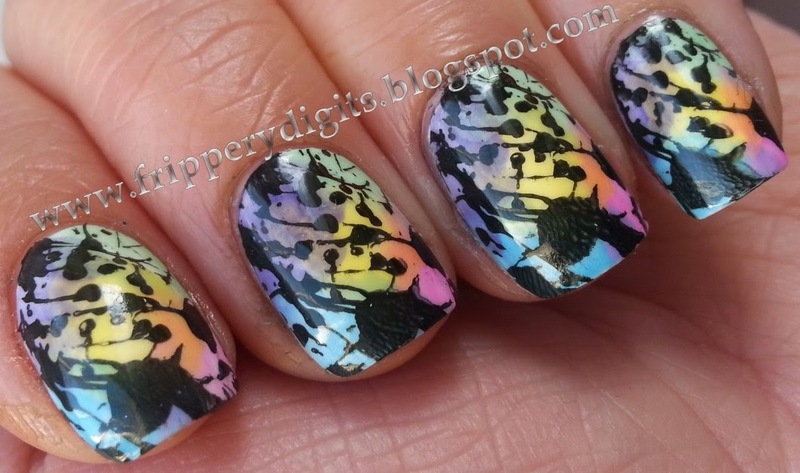 This is a very pretty mani. I love the color combos and the design. It seems that you really enjoyed doing this because of how it turned out. Great choice! Hi! I would like to open beauty salon. Does anybody have an experience in this business? There are too many options in different salon equipment. Could anybody give me an advise? What store is more reliable to buy Cosmetology bags and Cosmetology case. I'm choosing between Advance and Esthetic websites.